Senado Square (Largo do Senado, 議事亭前地) is a beautiful paved square in historic downtown Macau. The Portuguese influence is everywhere here, with beautiful old pastel coloured buildings surrounding it, giving it something of a Mediterranean feeling. 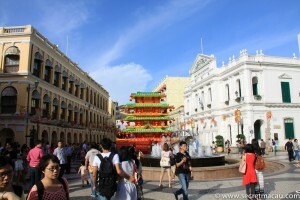 It was added add a UNESCO World Heritage site in 2005. 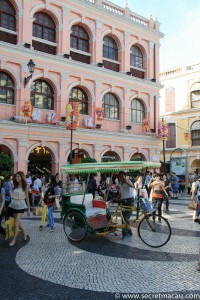 The paving is in the traditional Portuguese pavement style – which can be found in pedestrian areas in Portugal, and throughout it’s old colonies. 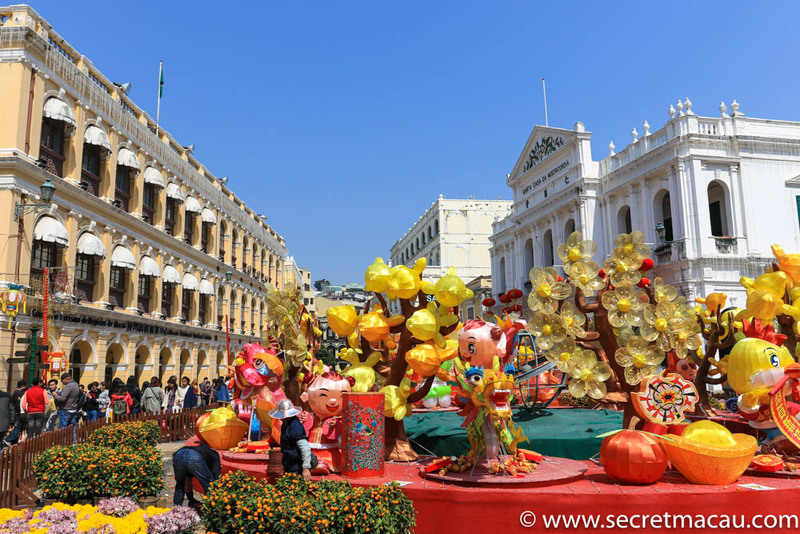 The wavy tiled pattern used in Senado Square echoes the Copacabana Beach paving in Rio de Janeiro. 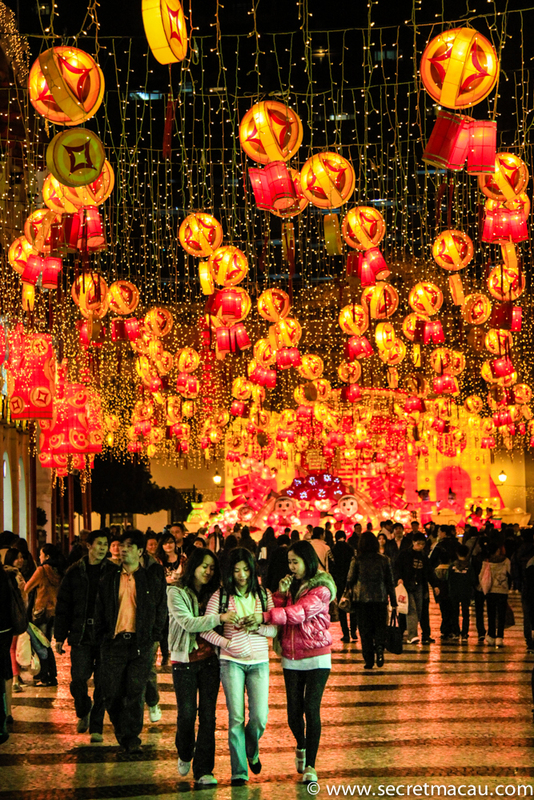 It’s a very popular place for shopping and on special occasions (Chinese New Year, Chinese Spring Festival, Christmas, etc) hosts various celebratory displays and exhibits. 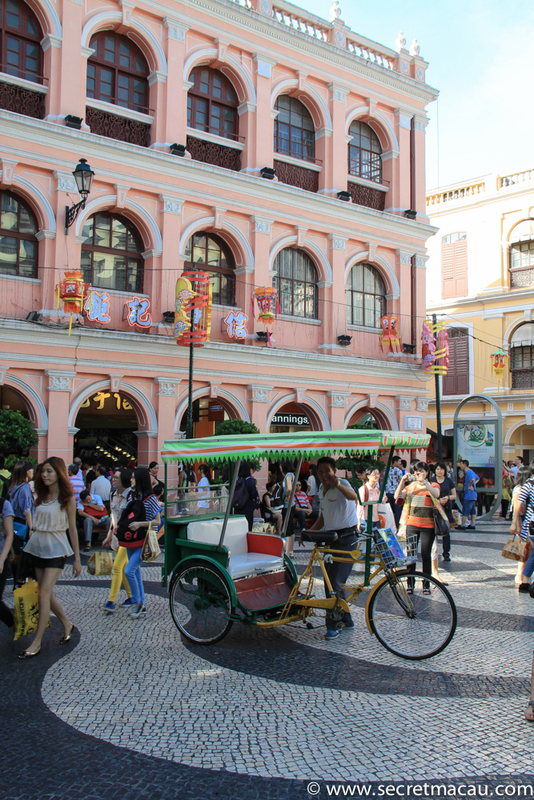 Restaurants and street food are everywhere. 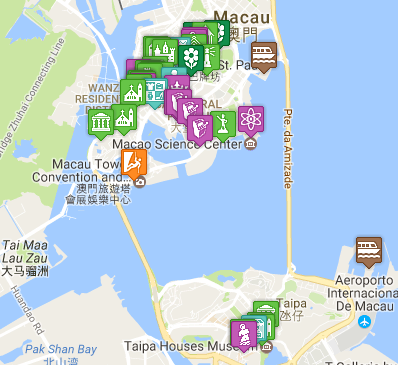 There are many other attractions very close to the square and are easy to walk to – Macau Cathedral, St Dominic’s Church, Macau Museum and the Ruins of St Paul’s. 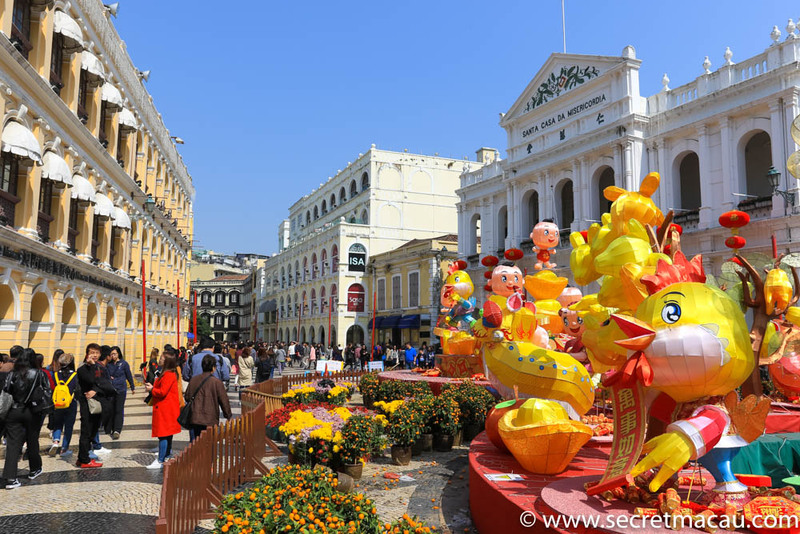 The dramatic golden lotus of the Grand Lisboa casino is also quite close (it towers over this part of Macau – you’ll be able to see it from any exposed area, such as around the Ruins of St Paul’s).